Is Jerry Saltz The World's Biggest Matthew Barney Fan? In a recent article on artnet.com, art critic (and former judge on Bravo's Work of Art) Jerry Saltz reports, "Before I wrote about Matthew Barney’s Cremaster IV, I watched it 75 times. What can I say? I really like it." Now, Jerry probably received a reviewer's copy of the film, but what about you Cremaster Fanatics reading this blog? How many times have you watched Barney's films? 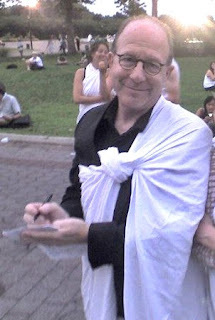 Can anyone out there beat Jerry Saltz? Let us know in the comments.